In surfing and skateboarding, the term "goofy" means you are someone who stands with your right foot forward. If you stand with your left foot in front, then you are "regular". 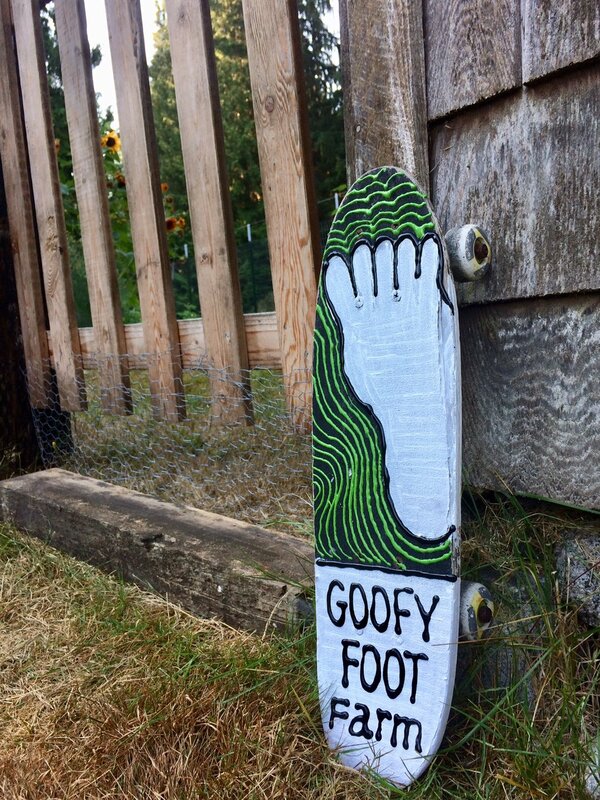 When we saw a beat-up skateboard and acrylic paints in the free pile, we knew we had just what we needed for a new garden sign. Been eating kale for the past 6 months now—next year we'll need to diversify plantings at Goofy Foot Farm.